Hello everyone! I have some exciting news today! 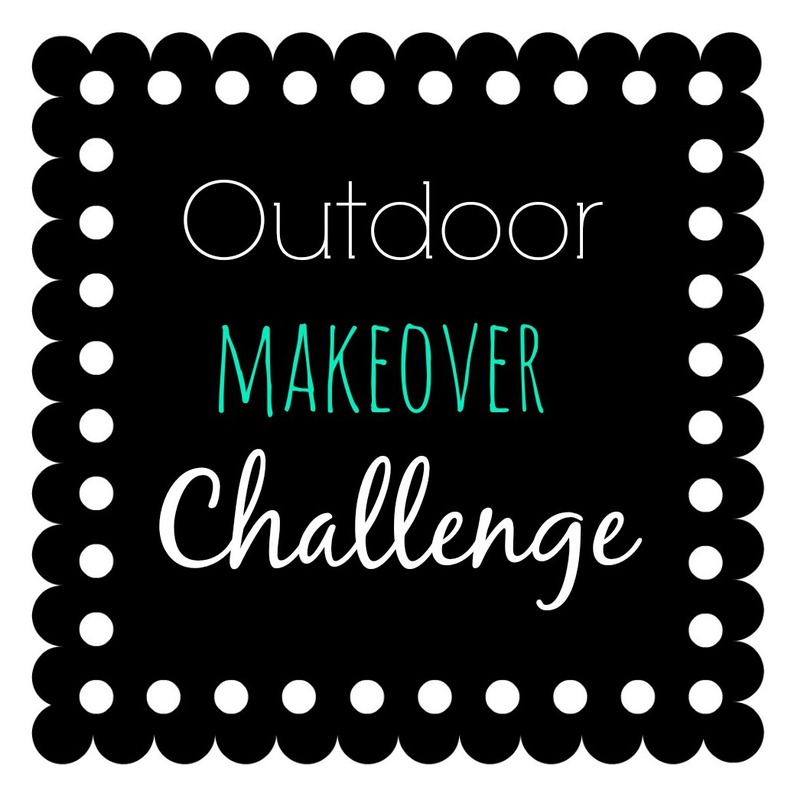 I am participating in an outdoor makeover challenge! Kristi @ making it in the mountains, Nicci @ Living the Domesticated Life, and myself are doing some budget friendly makeovers of our outdoor spaces! Every Thursday throughout the month of June, we will each post an update of our space with our final reveals being on June 26th! My husband and I looked at a lot of homes when we were searching for the perfect place. What sold us on this one in particular was primarily the backyard! We're both a little outdoorsy and would much rather relax outside than sitting around indoors. We often pull a big blanket outside and lay in the grass together on sunny afternoons, and we eat dinner outside every chance we get. We've had a busy start to the year, but we've been dying to work on our outdoor space so that we can thoroughly enjoy the space that convinced us to buy our home!! We would like to create a relaxing space for us to enjoy that is also great for entertaining! We would love to be able to start hosting BBQ's with friends and family, but currently it would be a bring-your-own-lawn-chair event! Now that we've gotten the busiest month of our summer out of the way, we're excited to get started on some outdoor projects!! 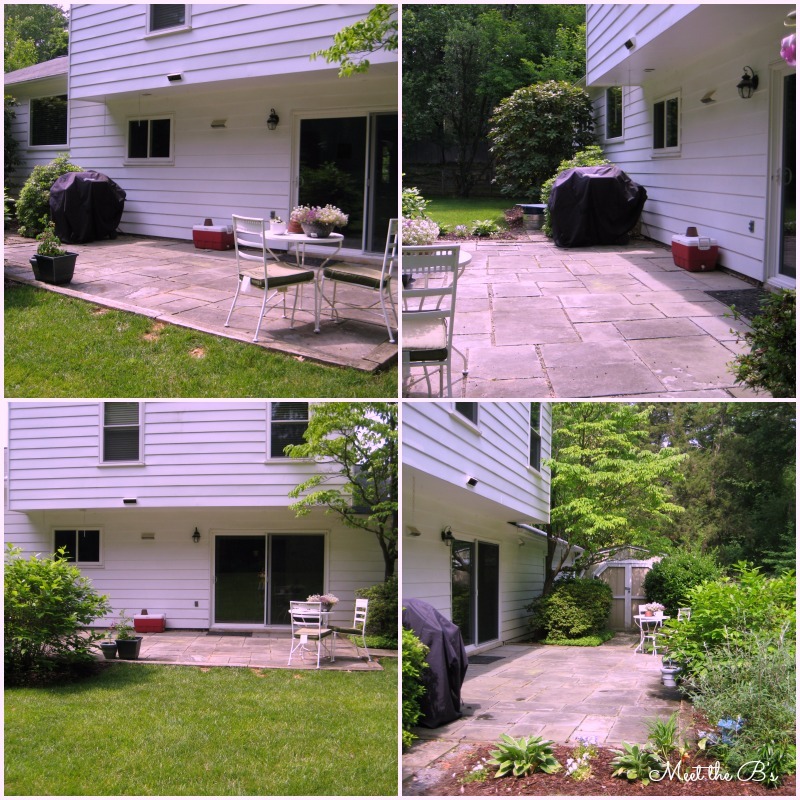 We've got tons of plans for our backyard, but the space we'll be working on for the Outdoor Makeover Challenge is our patio! Here's some of our ideas and inspiration. First, we definitely need some furniture! We would like to get some sort of dining set. If we have enough room, we might add a lounge seating area in the future. I would love to put a window box under the window. Inside the house, the window is right above the kitchen sink, so it would be great to have some pretty flowers to look at from inside too! We would love to buy or create an outdoor bar cart for serving food and beverages during cookouts! We need to find decorative accessories and planters to add color and texture to the space. We have so many ideas!!! I can't wait to get started! Check back next Thursday to see what we've been working on!! Be sure to check out each of our blogs every Thursday and follow us in some way so you don't miss any outdoor updates!! We can't wait to show you our finished spaces!!! What a beautiful space to work with Nicole! LOVE the window box idea! I can't wait to see how it all comes together!! !